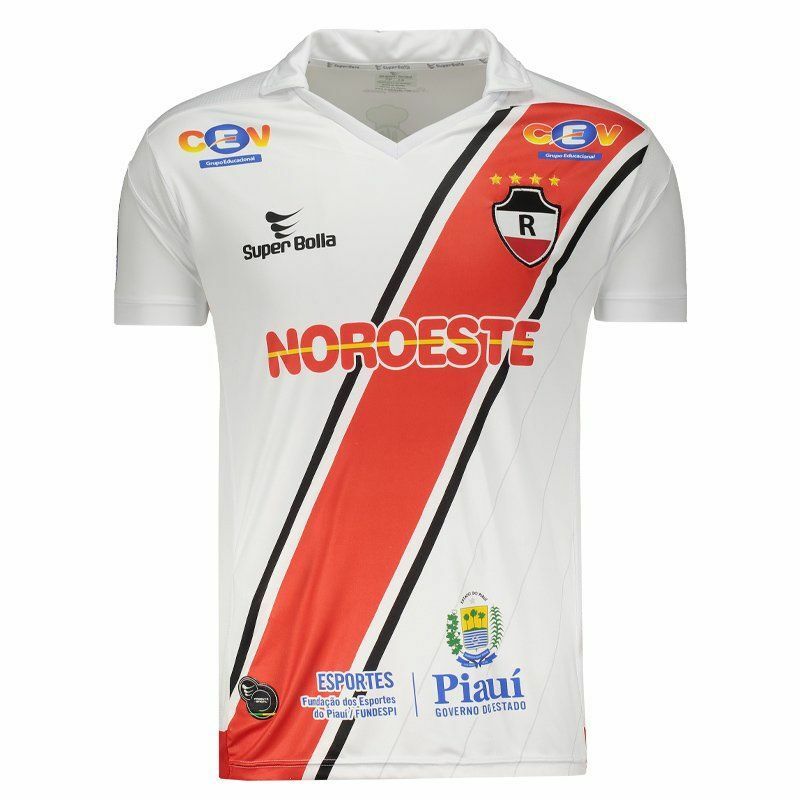 Developed by Super Bolla, River Do Piauí Away 2017 Jersey brings the number 10 printed on the back and can be customized with name using the team's font. The mantle is made of lightweight and breathable polyester with Dry Ice technology. More info. 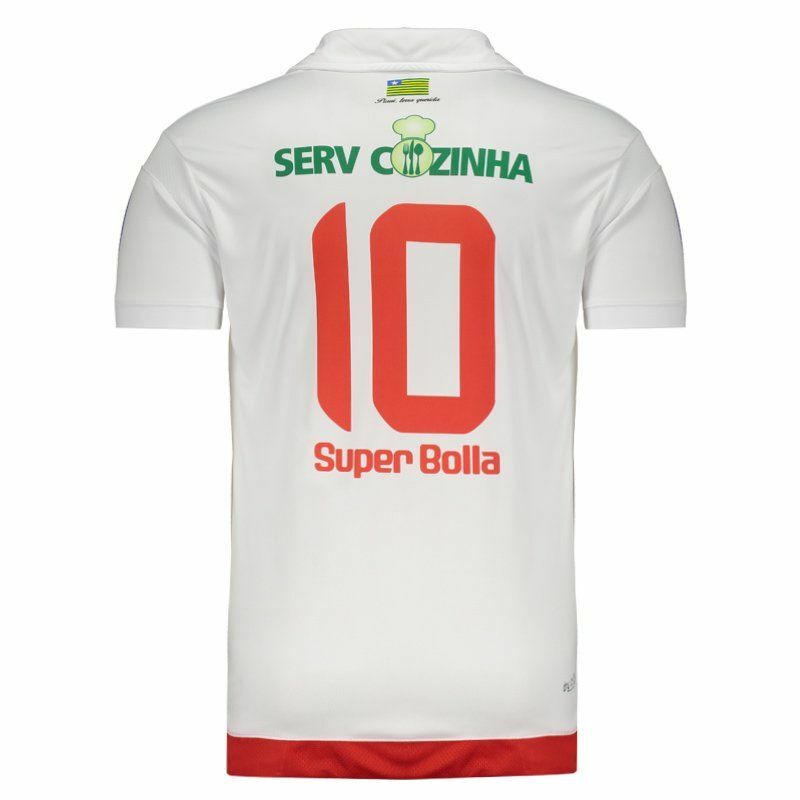 Developed by Super Bolla, River Do Piauí Away 2017 Jersey brings the number 10 printed on the back and can be customized with name using the team's font. The mantle is made of lightweight and breathable polyester with Dry Ice technology, which provides a lightweight, comfortable fabric and provides high sweat absorption from the fan body, keeping it dry and at a stable temperature. 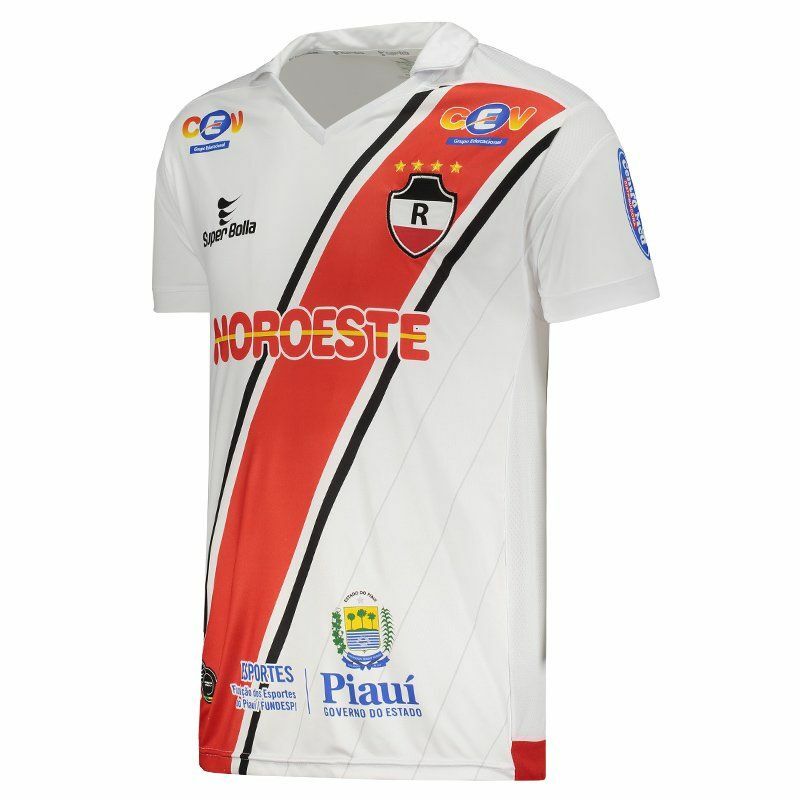 The design is predominantly white and comes with diagonal stripes in black and red, which highlight the team's badge, seen embroidered on the left side of the chest. There are even small gray stripes all over the frontal region. In addition, near the nape of the neck, the state flag is present. 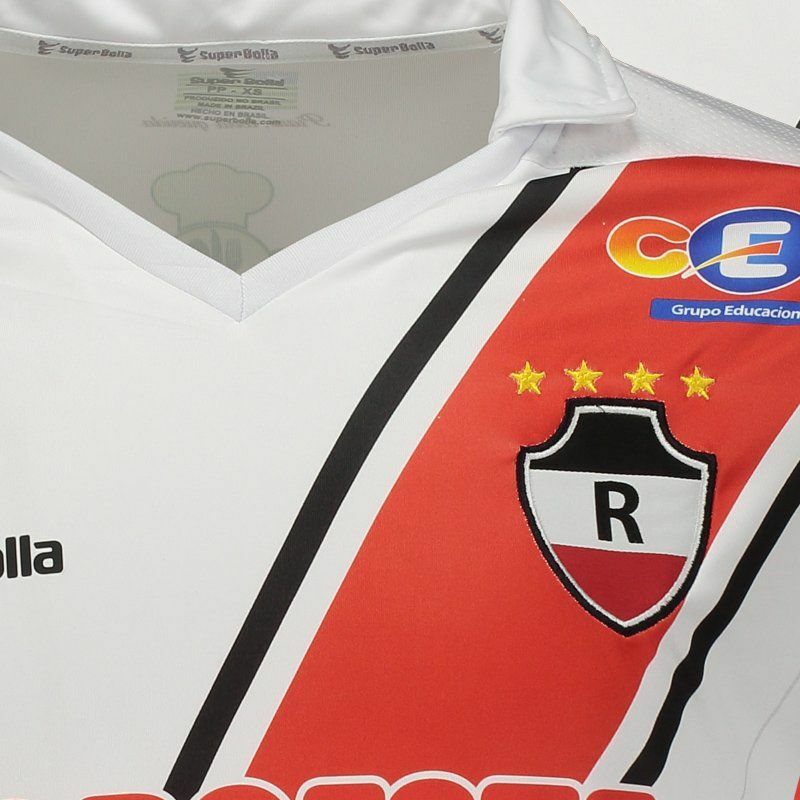 Finally, its collar is polo with special cut and complementing the details, so sponsors are seen throughout uniform.